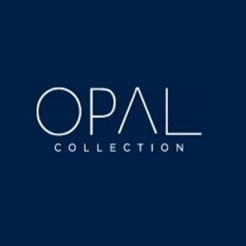 Welcome to Opal Collection, the mobile app designed to enhance your experience at Opal Collection hotels and resorts, which are among the world's most luxurious destination getaways. Experience the tranquility and premium amenities at our hotels via your own customizable mobile app. Plan your stay by booking resort activities, restaurant reservations, spa services and more prior to your arrival. Access your reservation details for your upcoming stays. Build a profile to help customize and personalize your visits with Opal Collection Hotels & Resorts. •	Pre-arrival access to book amenities, restaurant reservations, resort activities, spa services and more. •	Order In-Room Dining from your phone (varies by property). •	Plan your stay ahead of time or place your requests on the spot once checked-in. •	Receive instant notifications of requests and services. •	View hotel information at the click of a button. Discover the Opal Collection and rediscover yourself. Would not locate my reservation, would not let me make a massage appt ... WORTHLESS !!!! Can a give it a zero?